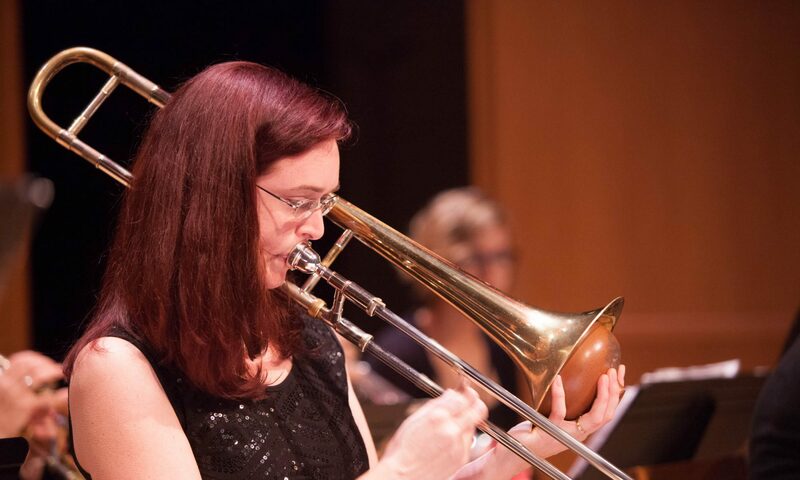 Jazz Girls Day DC is open to Middle and High School students who identify as women or gender non-binary. The day will include jam sessions, workshops, mentoring, and an afternoon concert at 4 pm. The concert is free and open to the public. All activities will be held at John Calvin Presbyterian church at 6531 Columbia Pike, Annandale, VA 22003. For more information, contact Shannon Gunn at 571-318-6278 or jazztothebone [at] gmail.com. Instrumentalists: Bring your instruments. Drum set, keyboard, bass amp, keyboard amp, and PA system will be provided. Ample free parking is provided on site. Snacks provided. Workshops start at 11 am. This year’s focus will be “Playing the Blues!” Advanced music is also available, please let Shannon know if you’d like to jam on the 4 pm concert at the end. Fill out the form below to register. 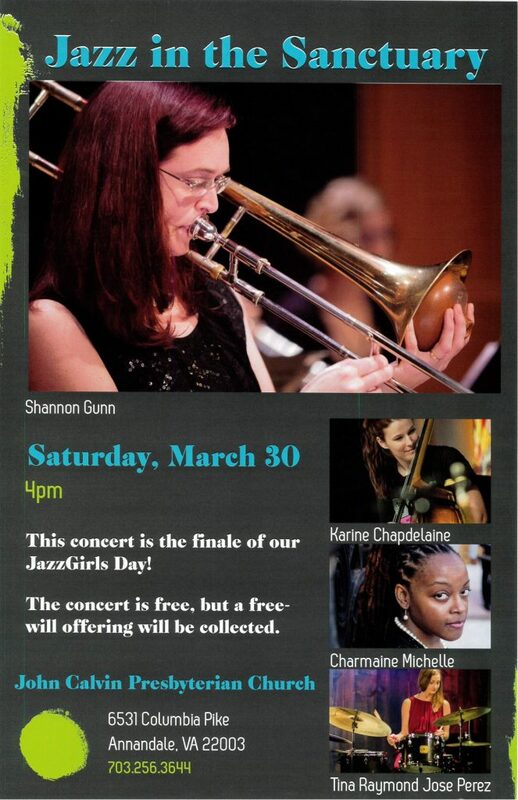 Registration is FREE for Jazz Girls Day. The concert is also free at 4:00 pm. 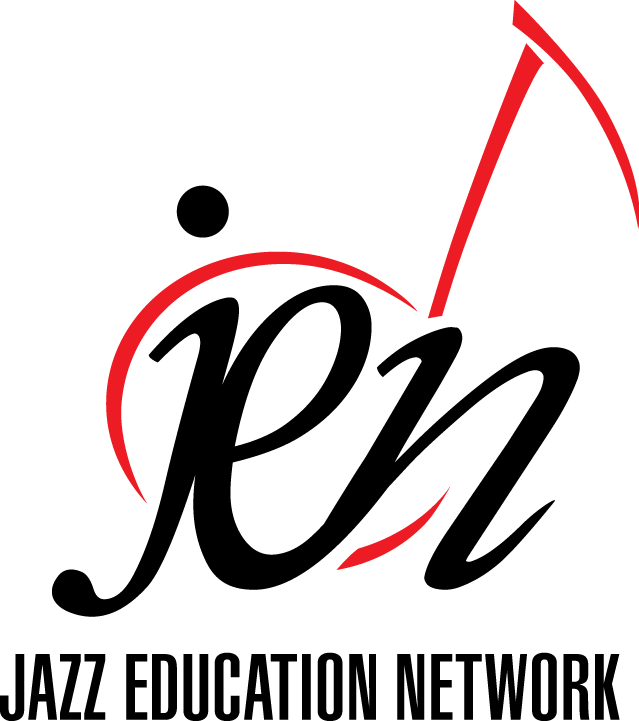 Many thanks to the Jazz Education Network and the Herb Alpert Foundation for supporting the first Jazz Girls Day DC event!